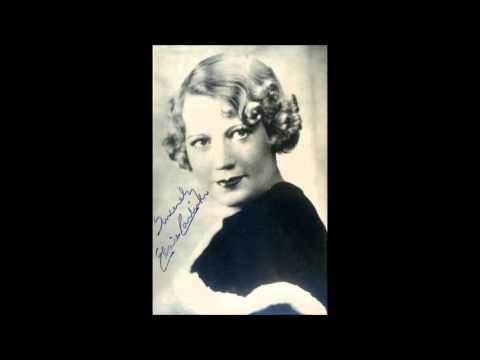 “What Is This Thing Called Love?” Composed by Cole Porter and introduced by Elsie Carlisle in C. B. Cochran’s Wake Up and Dream (1929). 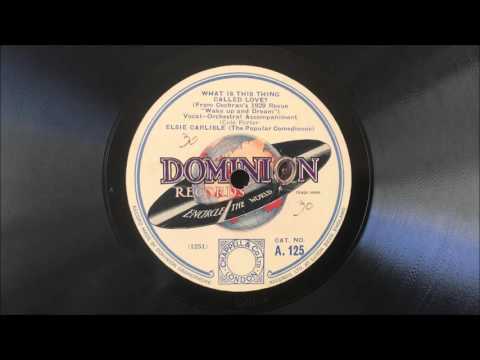 Recorded by Elsie Carlisle under the musical direction of Jay Wilbur in London c. May 1, 1929. Dominion A. 125 mx. 1251-4. 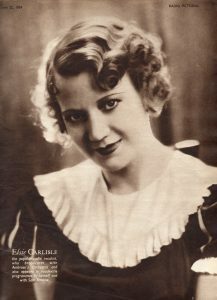 About a month later Elsie committed the song to the rather gravelly shellac of Dominion Records, with whom she had a recording contract. Dominion’s musical director was Jay Wilbur, who would oversee so many of Elsie’s recordings both early and late in her career, and the studio personnel were members of his dance band. Their throbbing accompaniment must recall the drumbeat of the stage show. Elsie’s rendition of the song showcases her well-known talent in delivering torch songs. 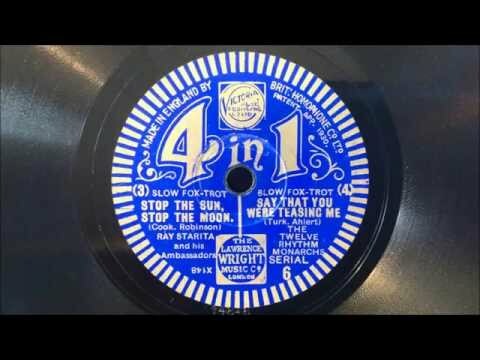 It is a particularly good example of her technique of allowing her voice to quaver, to falter, almost to break, thereby creating an impression of vulnerability. Elsie is so often remembered as a funny, witty, naughty singer that it would be possible to overlook how, in her torch songs and in her other love songs, she evokes such pathos that we do not even stop to question her sincerity. Some British bands that recorded “What Is This Thing Called Love?” around the time of its opening in London and into that summer were Jack Payne and His BBC Dance Orchestra (vocals by Jack Payne), Jack Hylton and His Orchestra (with vocalist Sam Browne), Arthur Roseberry and His Kit-Cat Dance Band (with vocal by Len Lees), Philip Lewis and His Dance Orchestra (a.k.a the Rhythm Maniacs, under the direction of Arthur Lally, with vocals by Maurice Elwin), and Harry Hudson’s Melody Men (with Eddie Grossbart); the song also occurred in medleys derived from Wake Up and Dream recorded by the New Mayfair Dance Orchestra (directed by Carrol Gibbons) and John Firman’s London Orchestra. “He’s a Good Man to Have Around.” Composed by Milton Ager, with lyrics by Jack Yellen, for the 1929 film Honky Tonk. 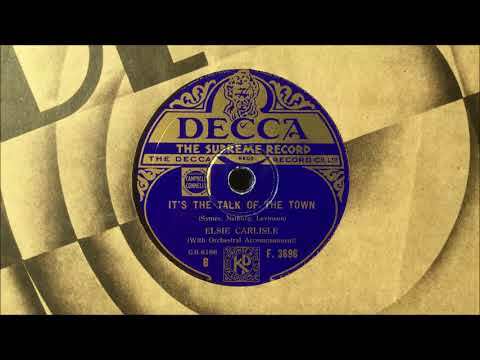 Recorded by Elsie Carlisle (as “Sheila Kay”), with Cecil Norman and His Band, in London, October 16, 1929. World Echo A. 1013. “He’s a Good Man to Have Around” is a torch song fashioned loosely after the model of Mistinguett’s “Mon homme” or its English adaptation “My Man” (introduced by Fanny Brice in the 1921 Ziegfeld Follies). The singer catalogues her “man’s” various faults and insists that she loves him in spite of them. One lyrical advantage that “He’s a Good Man to Have Around” has over comparable songs (such as “Hangin’ On to That Man”) is that the man’s moral deficits creep up comically in intensity; at first one expects the song to remain light, insofar as the man’s faults are merely not being good-looking, being a poor dancer and a poor speaker, and occasionally being mildly irritating. Indeed, the lyrics as used in Elsie’s August 23, 1929 recording of the song with Philip Lewis and His Dance Orchestra (a.k.a. the Rhythm Maniacs)1 stop at this point; they complement the comparatively upbeat instrumental interpretation nicely. 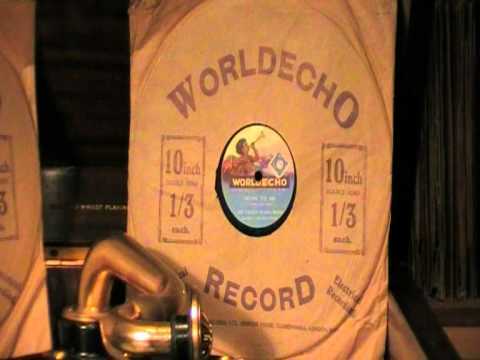 In the October 16 Worldecho recording, however, Elsie sings the whole song, including the parts about how her lover is untrustworthy, unfaithful, and apparently such a dangerous fellow as to warrant her having bought a pistol — which she won’t use, for “He’s a Good Man to Have Around!” Elsie Carlisle recorded this record and three others with Worldecho under the name “Sheila Kay”; as she was recording under her own name for the Dominion label at the time, it may be that contractual obligations necessitated the use of the pseudonym. 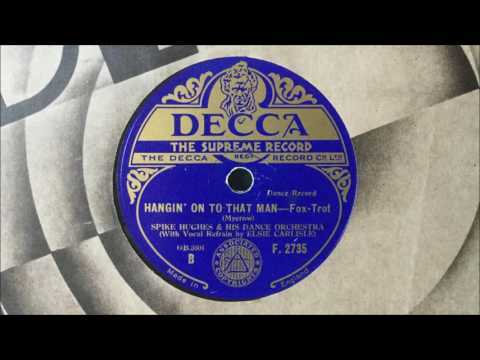 Originally written for the 1929 film Honky Tonk starring Sophie Tucker (which does not survive as a movie, although the Vitaphone soundtrack is intact), “He’s a Good Man to Have Around” was first recorded by Tucker herself (with Ted Shapiro’s Orchestra). In 1929 versions of the song were also recorded in America by Herman Kenin and His Ambassador Hotel Orchestra, Lee Morse and Her Blue Grass Boys, The Cotton Pickers (both with Libby Holman and without), Kate Smith and the Harmonians, and Jimmy Noone’s Apex Club Orchestra (with vocals by Helen Savage). “He’s a Good Man to Have Around” was recorded in 1929 in Britain by Florence Oldham (accompanied by Len Fillis on the guitar and by Sid Bright on the piano), Lily Lapidus, the Rhythmic Eight (with vocals by Maurice Elwin), The Picadilly Players (Eddie Collis, vocalist), Mabel Marks, Belle Dyson, the Blue River Band (with vocalist Sybil Jason), and Mabel Lawrence.